California has a secret. While crowds flock to San Francisco and Los Angeles, the best is actually in between. Welcome to California’s Central Coast—for the outdoor enthusiast, it’s a 600-kilometre-long playground. If you’re looking for white-sand beaches with perfect surf breaks, you’ll find it. Mountain peaks to climb and woodsy trails to hike? That too. A remote island chain to explore by kayak? Yup. Biodiverse wildlife? You betcha. And that’s just scratching the surface. Read on to discover coastal highlights—then venture out on your own and you’ll discover even more secrets hidden along California’s incredible Central Coast. 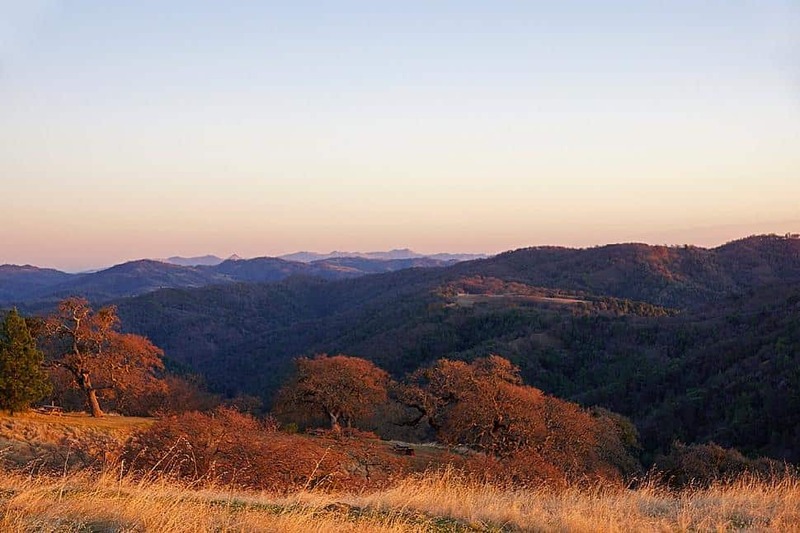 Located about an hour’s drive northeast of downtown Gilroy—which is about an hour southeast of San Francisco—Henry Coe State Park is the largest state park in NorCal. Within this nature preserve, you'll find some 400 kilometres of trails, many of which are accessible year-round. Start with China Hole Loop, a path that meanders for 16 kilometres through rolling terrain, then branch out and explore. 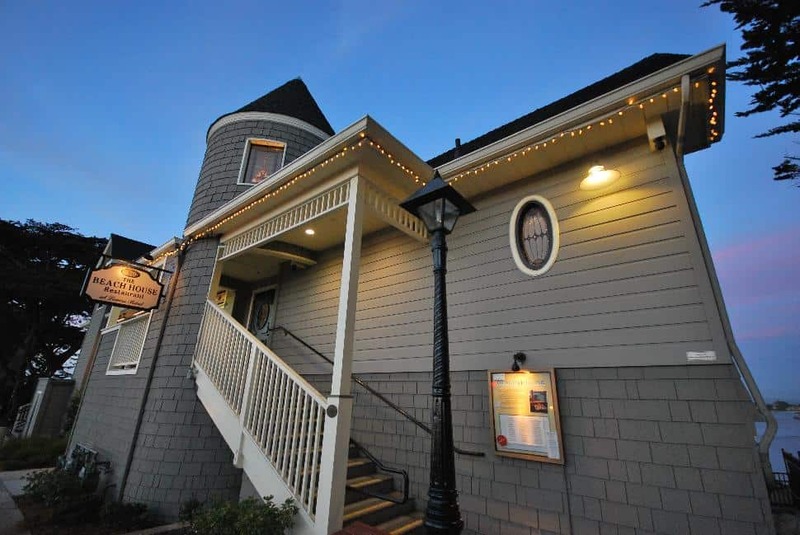 Plus, Gilroy itself is an affordable hub from which to base a host of adventures. Garlic has been used as an athletic performance enhancer since the original Olympics. While in Gilroy—the Garlic Capital of the World—follow the Garlic Trail to sample a variety of pungent dishes at local restaurants. 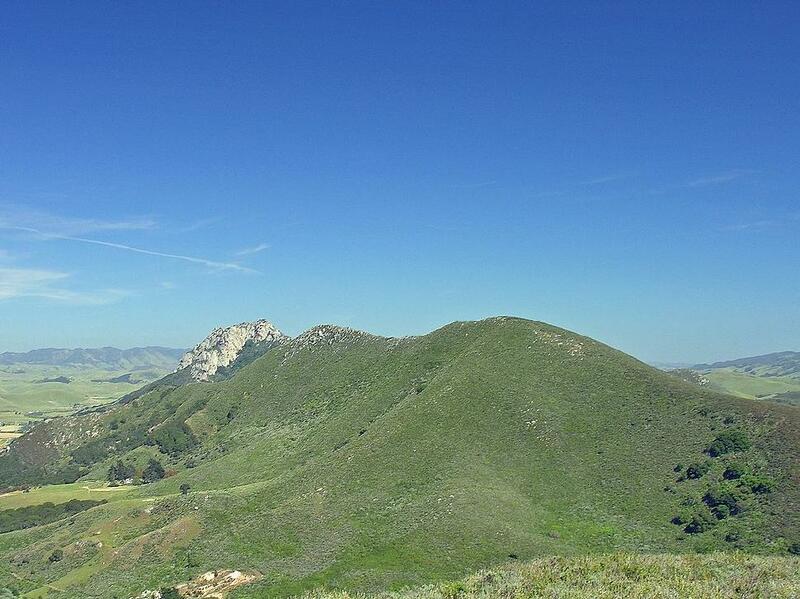 Then, with your newfound energy, you’ll be fit to tackle the trails of Henry Coe. The city’s famous aquarium is incredible, but, really, the entire Monterey Bay National Marine Sanctuary is like one big au naturel aquarium. 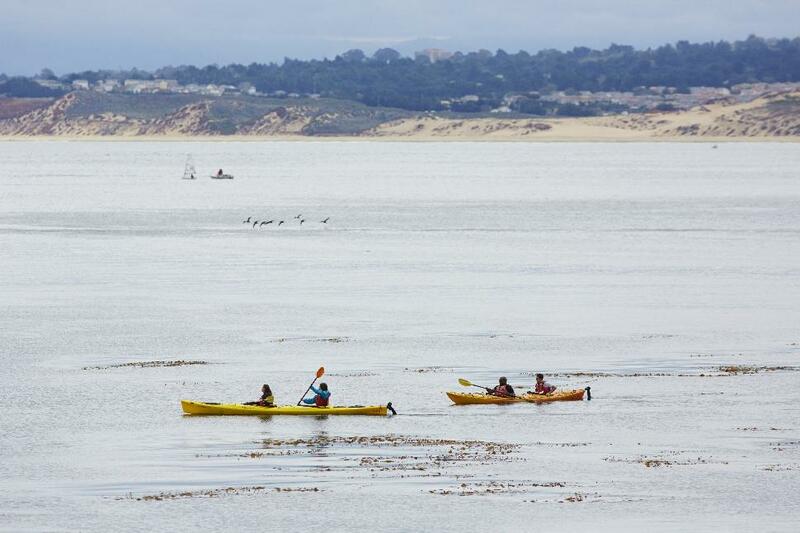 Explore the seaside here by kayak or paddleboard, right from the epicentre of Cannery Row in downtown Monterey. Sea otters, harbour seals and biodiverse kelp forests await. Pay a pre-excursion visit to Monterey Bay Aquarium to learn about what you’ll see on the water, as well as about the aquarium's renowned Seafood Watch program—the industry standard for identifying sustainable seafood. The jewel of Carmel-by-the-Sea, Carmel Beach curves gently from Pebble Beach towards Point Lobos State Park. With NorCal waves rolling in year-round, the beach is a coldwater surfing hotspot. Carmel gets surfable when the waves hit about one metre and keeps its shape until it's well overhead. The best break is found at 8thStreet, a short walk from the main beach access; easy to reach from the centre of town. 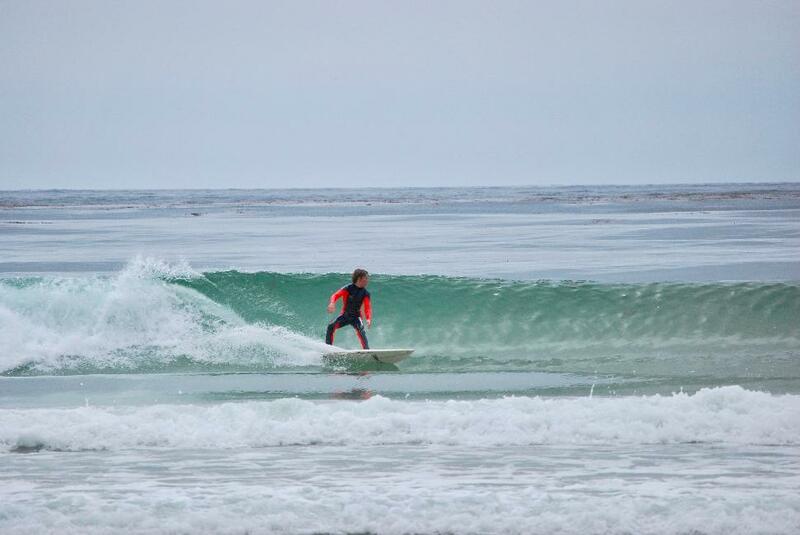 While skilled locals get into the green room at Carmel Beach, newbies will find whitewash to learn on as well. Lessons are available. Plus, Carmel Beach is dog friendly, campfire and booze friendly and it's a sublime spot to watch the sunset. Occupying a slice of the Santa Lucia Mountains’ western slope as they rise from the coastline, Big Sur is as much an attitude as it is a physical location. It is a locale for Gore-Tex cloaked hikers and knot-haired surf bums living out of Westfalias. Though the park is only 400 hectares, it’s backed by massive Los Padres National Forest—about 20 times bigger—and flanked by Andrew Molera and Julia Pfeiffer Burns State Parks. So it feels much larger. 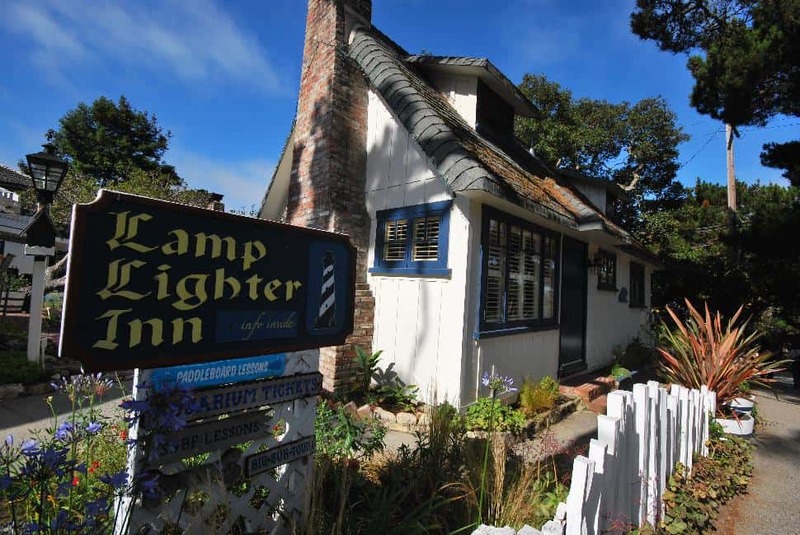 Within the redwoods and river valleys of Big Sur, travellers can uncover 300 kilometres of hiking trails, complemented by accommodation at 61-room Big Sur Lodge, 150-drive-to campsites along Big Sur River or hike- or bike-in sites further into the forest. 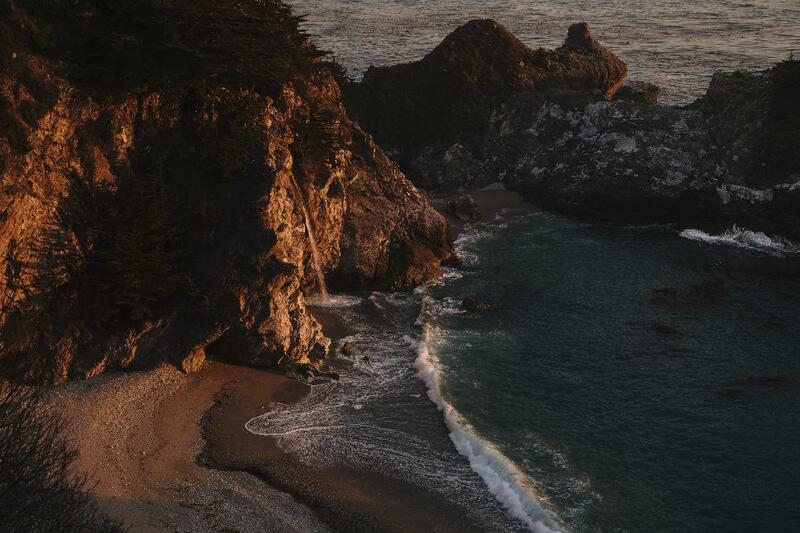 McWay Falls, pictured above, is one of the seminal stops—find this stunner in Julia Pfeiffer Burns State Park. 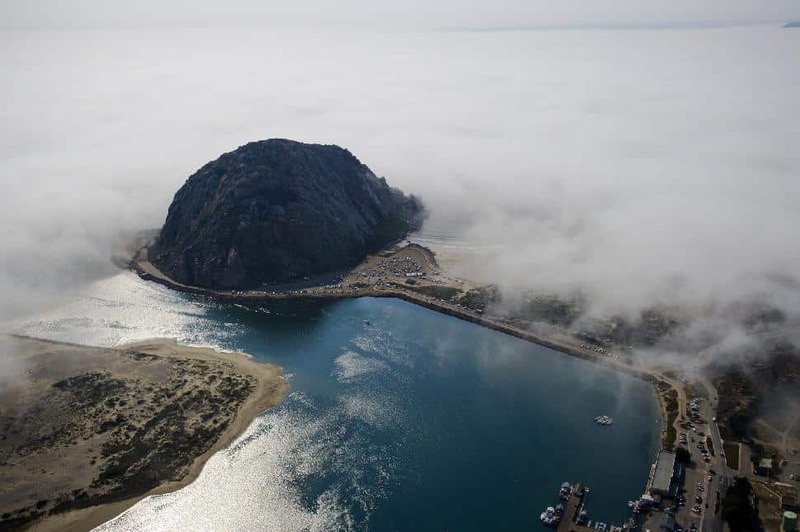 A highlight Morro Bay State Park, Cerro Cabrillo is a 278-metre-tall massif that offers a sweaty hike and a big payoff. Find the trailhead on the east side of South Bay Boulevard, near town. The 3.7-kilometre linear trail starts off easy/moderate then quickly gets steep as you work your way to the summit. You’ll want supportive hiking boots, plenty of water and bug repellent, as the gnats can be nasty. At the top, relax and take in a panoramic view of the surrounding hills and the Morro Bay Estuary. Morro Bay National Estuary typifies serenity. Chorro and Los Osos creeks flow from the Irish Hills into the bay, mixing with the Pacific saltwater to form a biodiverse, lively habitat. Pelicans dive-bomb in search of baitfish. Sea otters peruse the shoreline. Bat rays fin beneath the surface. Marine life ranges from steelhead trout to Western pond turtles. And the surrounding sand dunes are home to bobcats and California horned lizards. This is a protected ecosystem—but it’s one you are welcome explore respectfully. Floating a stand-up paddleboard onto the often-calm waters is ideal. The high vantage point will allow you to view flora and fauna, and the relaxed paddling style suits the serene environs. It seems unlikely that one of America’s least-visited national parks could also be located within 100 km of 18 million people. But that describes Channel Islands National Park. A chain of eight volcanically formed islands accessed by ferry from Ventura Harbor, this park is home to the world’s largest collection of sea caves. 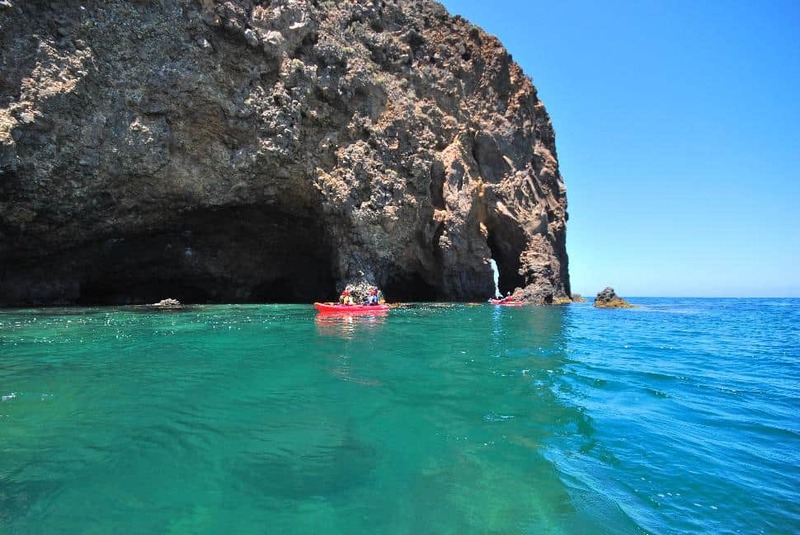 Book a tour with Channel Islands Adventure Company and float through rugged caves, over kelp beds and below ragged volcanic cliffs. Bonus—watch for sunfish, dolphins and even blue whales from the ferry. Hiking and camping are also major draws to Channel Islands National Park. Scorpion Ranch, on Santa Cruz Island, is the most popular site. Backcountry campers can trek onto the six-kilometre trail from Prisoner’s Harbour (Santa Cruz Island) to quieter Del Norte backcountry campsite, where the stargazing is astonishing. Oxnard and Ventura boast relatively uncrowded white-sand beaches with reliable surf breaks. 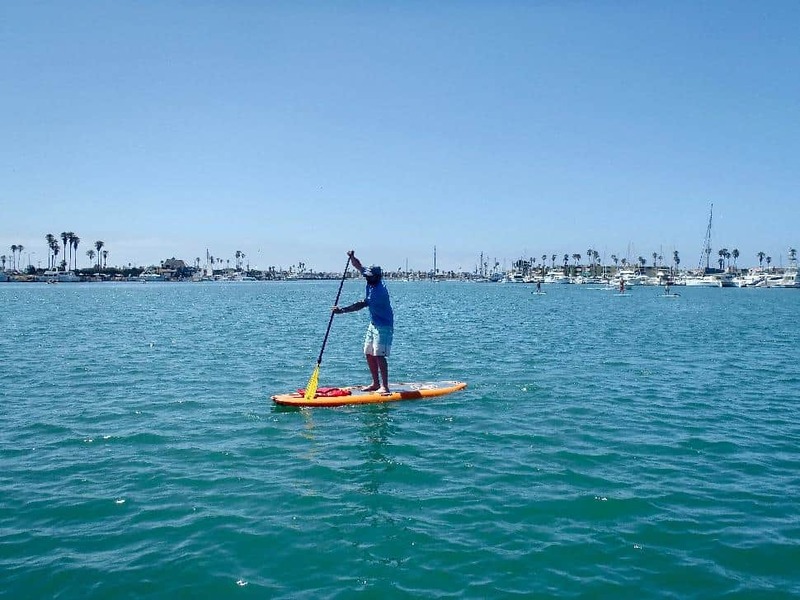 According to Craig Diltz, from Oxnard’s Channel Islands Kayak Center, top spots in the area include Ventura Point, Faria Beach Park (“a mini Waikiki”) and Hueneme. Or, just head out on a sunset stroll and enjoy the serenity of California's Central Coast. Rent a stand-up paddleboard from Channel Islands Kayak Center, at Marine Emporium Landing in Oxnard. During a SUP-tour of Channel Islands Harbor’s working waterways, you’ll paddle past a bustling waterfront, home to yachts and sunbathing sea lions. The labyrinth of canals can easily provide a half-day-worth of exploring. And for insider info on other paddle- or surf-spots, just chat with CIKC owner Mike Lamm—he’ll let you in on locales off-radar to most tourists. Is it the live music from local bands? Is it the 45-metre-long bar? Is it the “best burgers in Ventura County” from Chef Andy Brooks? Stop by Bombay Bar & Grill to find out why this is one of Ventura’s most popular eateries—and prepare to stay late. Scenically set alongside Channel Islands Harbor in Oxnard, Waterside Restaurant & Wine Bar is a residents’ fave for the live music, finger-licking barbecue nights, sumptuous Sunday Farmers Brunch and local-ingredient-heavy menu. If you find that you simply can’t live without savouring the multi-generational Italian family recipes from La Dolce Vita, in Oxnard’s Heritage Square, you may want to pick up owner Michelle Kenney’s cookbook or take an onsite cooking class before you leave town. Perched atop a sea cliff at San Luis Opisbo Bay, just a few minutes north of Pismo State Beach, Dolphin Bay Resort offers spacious suites with sunset views, an outdoor heated pool and tasty fare at onsite Lido restaurant. The Ventura Beach Marriott tempts travellers with its lagoon-like pool, easy access to both nightlife and Ventura Harbor (for Channel Islands National Park). Families will appreciate the free breakfast buffet and adults will love the gratis poolside Happy Hour, but the 600-square-foot two-bathroom suites and walkout white-sand beach are the real reasons to stay at Oxnard’s Embassy Suites Mandalay Beach. Take a road trip along Central California’s Pacific Coast Highway to connect a series of epic hiking destinations. Biodiverse, beautiful, rich with recreational opportunities and easily accessible — why do so few visit California’s Channel Islands National Park?